Powers: The ability to control light. Personality: Arrogant, overly-familiar, stubborn, but also well-meaning. Physical Description: Tall and muscular, with a powerful chin and dark hair. History: Once an astronaut, Glint was caught in an accident that gave him control over light, at the cost of making him wildly radioactive. He decided to fight crime in Aurora City, electing to do so openly and without a secret identity. Misc. 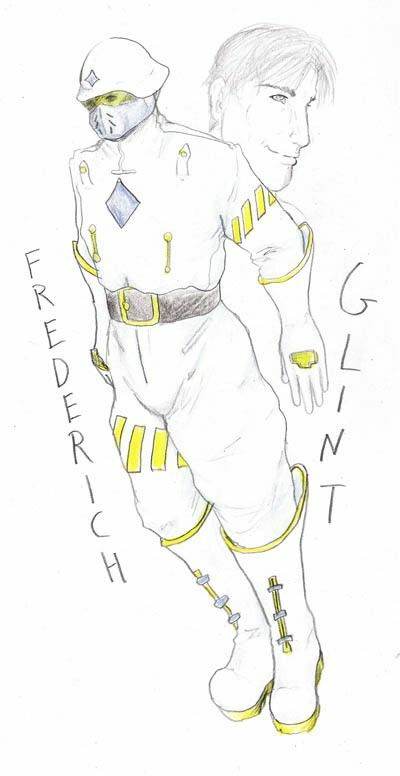 Notes: Glint's costume is designed to keep in his radioactivity. Without it, he is caustic and poisonous to living things. His powers are weaker in darkness, and in complete blackness he cannot use them at all.